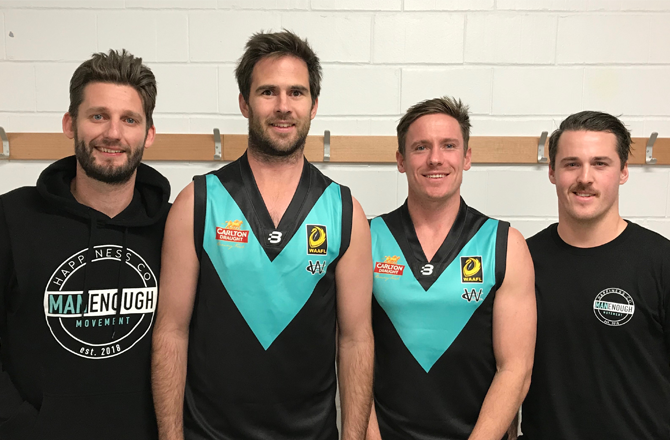 On Saturday 28 July the Wembley Football Club will be swapping their white ‘V’ for teal as the club teams up with the Happiness Co and their ‘Man Enough’ Movement to educate and spread awareness about men’s health. 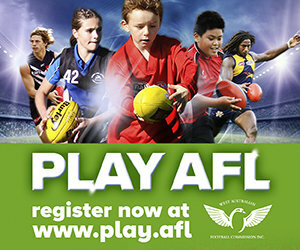 The Round 15 match at Wembley Sports Complex is being dedicated to former teammate Tim Grylls who tragically passed away last year. Three million Australians are living with anxiety and depression, the Happiness Co and the Man Enough movement aims to encourage men to open up, seek support and work on their self-development. Wembley players will hear from the Happiness Co at training on Thursday in preparation for Saturday’s match. 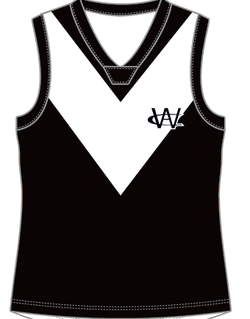 The Happiness Co will talk to the players about being aware of depression and how they can support those around them. 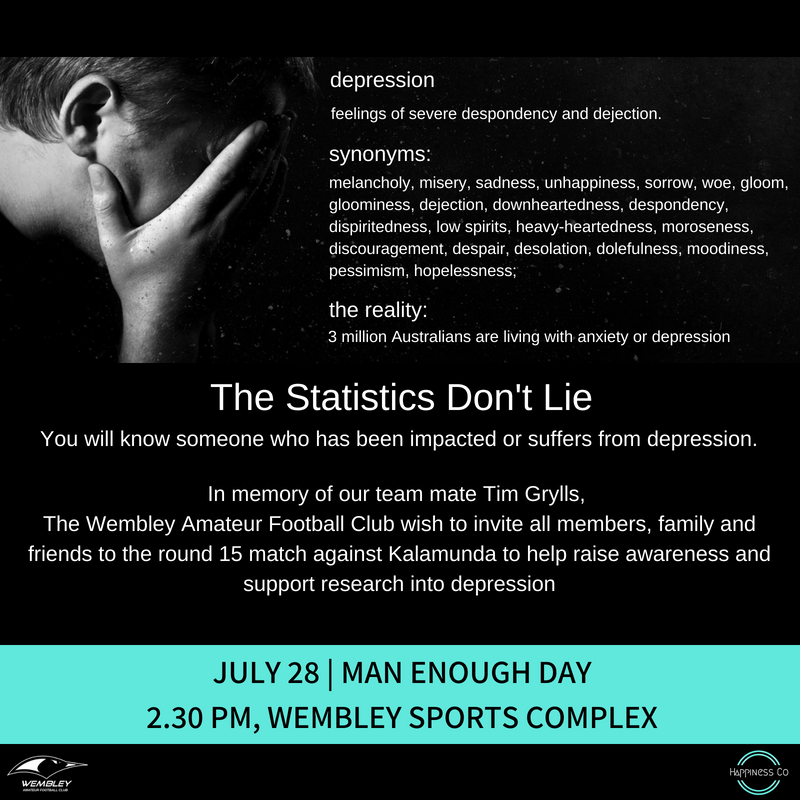 The Wembley Football Club invites all members, family and friends to the match against Kalamunda to help raise awareness and support research into depression. Bouncedown is at 2.30pm.